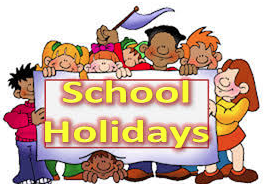 Just a reminder that we break up for February half term on Friday 17th February at the normal time. We start back on Monday 27th February. Sydney-Leah Hancock, Jay-Jay Phillips, Tiana Senior, Eva Wang, Arudshan Patpanathan, Olivia Szelka, Rylie Sheppard, Nathan Green, Fayo Odueke, Isabel Sinclair, Jakob Cruise, Aimee Green, Octavian Iovita, Harley Jeffcock, Hawa Keita, Ariella Matova, Zahra Najeeb, Britney Ntaribo Tataw Bakwa, Cross John Rogerson, Wiktor Fraszczak, Hannah Steinert, Logan Ashurst, Arda Erguc, Jak Gilbert, Yu An Kim, Veronica Lalikova, Duncan Marsden, Lily Rose Burton, Christopher Marsden, Sara Matova, Maliku Mattu, Kaylan Williamson, Warren Cartwright, Zafirah Mumpia, Jennyfer Benakova, Zachary Cruise, Nia Magagula, Samual Mata, Zafir Mumpia, Samuel Parker, Eva Paulauskaite, Caden Sinclair.